The NAHB Research Center Laboratory & Certification Services offers Drainvac International Inc. the "Green Approved Product for National Green Building Certification". NAHB's mission "is to promote innovation in housing technology to improve the quality, durability, affordability, and environmental performance of homes and home building products." NAHB Research Center works with builders and manufacturers to test the performance of products used in homes today. They not only carry out controlled laboratory test, but also perform field product tests. Created in 1964 as a subsidiary of the National Association of Home Builders (NAHB), the NAHB Research Center has established itself as the source for reliable, objective information and research on housing construction and development issues. Homeowners and builders are able to earn points toward meeting green building standards. The Drainvac Central Vacuum gives you 5 points towards a greener home. Drainvac International Inc.'s National Green Building Certification puts them amongst Fortune 500 companies such as DuPont Building Innovations, Dow Building Solutions, and The Dow Chemical Company to name a few. This prestigious award doesn't come easy. Dranvac's recent "Green Approved" certificate is an incredible honor not only for Drainvac but also by respected builders and contractors in the industry. The NAHB Research Center is recognized as a test laboratory, quality assurance agency, and certified product listing agency by many building and plumbing code agencies, and by national, state, and local code enforcement authorities. More information on the National Green Building Standard: The four threshold levels, Bronze, Silver, Gold, and Emerald provide builders with a means to achieve basic, entry-level green building, or achieve the highest level of sustainable “green” building that incorporates energy savings of 60 percent or higher. The Standard can be used by any builder for their individual projects, or be the basis for a local community or state green building program. For more information on Duovac Central Vacuums, click here. Duovac / Nuera a Canadian based company with close to 50 year in the industry wins bid among all other central vacuum companies. 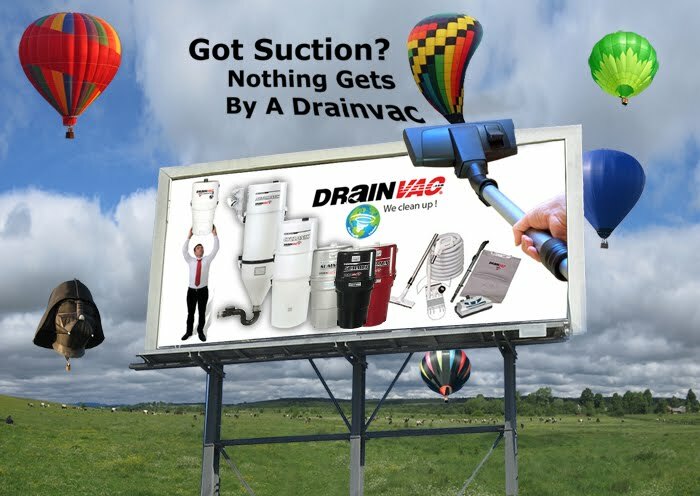 After arriving at www.ThinkVacuums.com in search of the perfect central vacuum, T.J. Maxx & Marshalls have both decided to install the Duovac Air-10 Central Vacuum system in most all their stores. Robert Buckwald, Owner of ThinkVacuums.com was able to collaborate with John Ritzchoven, United States Representative of DuoVac to arrive at an ideal Central Vacuum/Solution to their service issues. The buyer of T.J. Maxx and Marshalls made his decision to choose the DuoVac Central Vacuum line because of their unsurpassed service and "after-sale" commitment to their customers. It is not only about the perfect vacuum for T.J. Maxx and Marshalls commercial needs, rather it was more about the award winning service and commitment that only DuoVac was able to provide. ThinkVacuums.com takes pride in offering DuoVac Central Vacuums because of their outstanding customer service and support after the sale. We are a professional company that treats customers the same way we would want to be treated ourselves. We originally took on DuoVac because we believe in the same business ethics and outstanding track record this company has provided for almost 50 years. They have won countless awards such as the ledger and ledgers consumer choice award out of Canada for over 11 years straight! No other company has achieved this unsurpassed honor/award. For more information click the following link to view the new DuoVac Central Vacuums!